Tiger Prints is a new family run online clothing brand who specialise in fun, bright and quirky clothing for kids, adults and even babies! Tiger prints was set up by Mary a fellow blogger. Tiger Prints was inspired by Mary who became fed-up with fast-fashion and mass-produced kids clothing covered in Minecraft and Disney designs. She wanted to create a line of good-quality, fun children’s tops which are lovingly designed and hand-printed in the UK and that is how Tiger Prints came about! James was given the choice of t-shirts from the range and there are so many great designs it took him some time to decide! 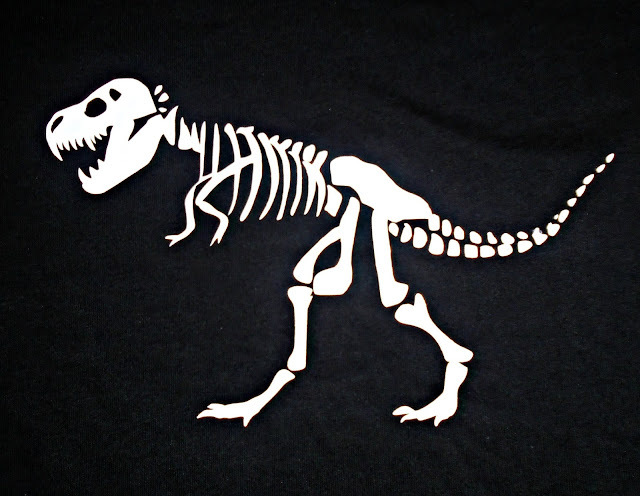 He eventually decided on this T-Rex dinosaur skeleton T-shirt in black with glow in the dark detail. Delivery was quick and I received an email confirmation to confirm all of my details were correct which was great for double checking size etc. When the t-shirt arrived James was so excited he wanted to wear it straight away! The material felt really soft and the design transfer was perfect, no mistakes, cracks or imperfections. This t-shirt is made from 100% cotton and is available in sizes 2-3 up to 12-13 in the children's range but it is also available to purchase in adult sizes too. James is 6 but quite tall so I ordered the 7-8 and this fit him really well as you can see the length was just right and the length on the arms were good too. I would say if your child is between sizes or tall like James then definitely go up a size. 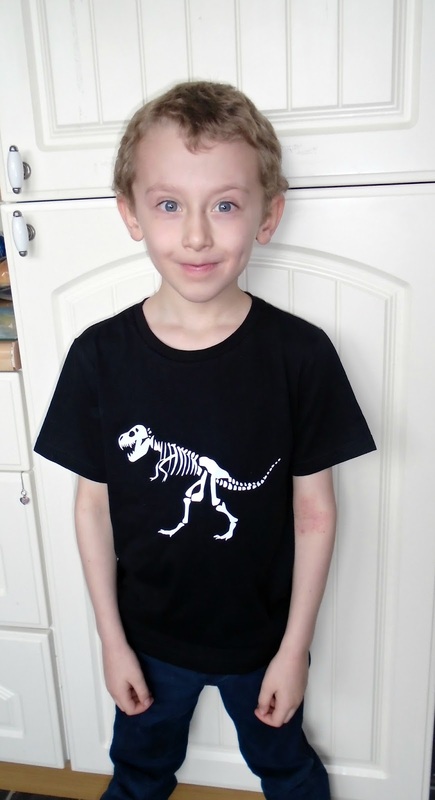 This T-shirt is priced at just £12 which I thought was a fair price and James loves it which says it all for me. He loves the glow in the dark element to it which I thought was a lovely touch and really unique. 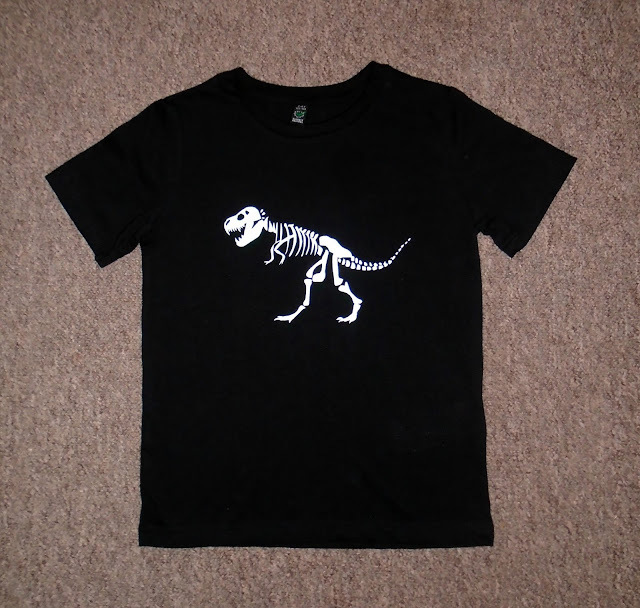 James has already decided this will be the t-shirt for his next school disco as it will really show up the glow in the dark. If you want to find out more about Tiger Prints or view their full name of clothing check out the website here - www.tigerprints.co.uk.